With virtually no imaging for the last 6-8 weeks we enter July where at least the skies start to get a little darker in the late evening. It is still not great conditions for imaging though and you will note a slight degradation of image quality during July compared to the pitch-black skies we get over the winter. Never mind!! Dust of the telescope, fire up the mount and let’s get some imaging underway. This month’s object is open cluster M39 in Cygnus. Not too surprising we are looking at a Cygnus object in July, but M39 is pretty much overlooked by imagers – perhaps because it is noted as being a “very large, very poor cluster, very little compressed, of 7th – to 10th- magnitude stars” – not exactly a great advert for M39 is it? But then you put some imaging time on this one and get a little depth and you realise that although large and sparse it is a very colourful cluster. Being large [30′ diameter] you need a decent field of view, and the Hyperstar III with the SXVF-M25C camera with its 2.4 x 1.6 degree field of view is almost ideal for imaging this object. Clusters as we know need less sub-exposure time, and we have the bonus that we can also work on them when the Moon is about. For the Hyperstar III at f#2 I typically use 3-minute subs on clusters, and for the Sky 90 at f#4.5 I often used 4-5 minute subs. However, as with any object things simply improve with total exposure time and I always like to get an absolute minimum of 4-hours on an object – even a cluster. 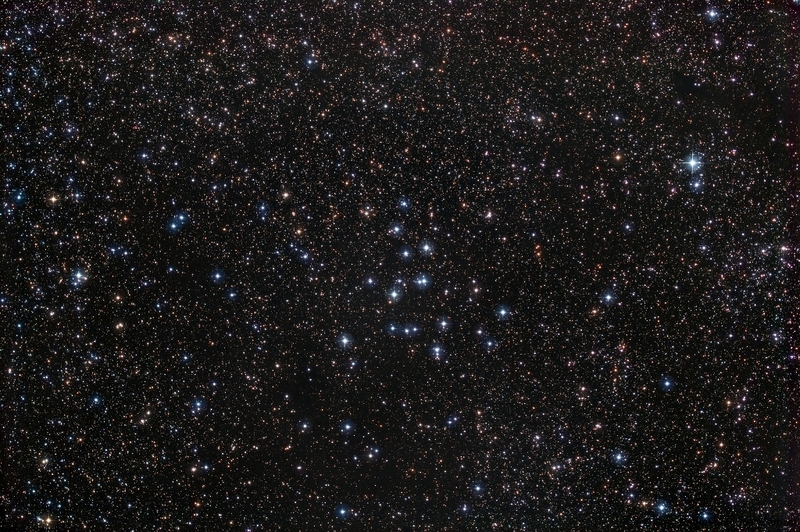 Give M39 a try – open clusters in general are often overlooked by imagers, yet they have so much to offer. Until August – Clear Skies, and happy imaging!